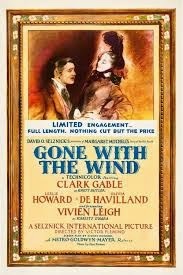 The Film: Gone With the Wind. The Stars: Vivien Leigh, Clark Gable, Leslie Howard and Olivia de Havilland. Source Material: Margaret Mitchell's Pulitzer-Prize winning novel. Awards: Eight Academy Awards including Best Picture. 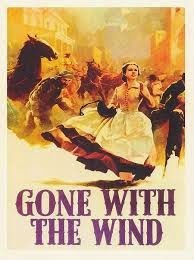 The Plot: GWTW follows Southern belle Scarlett O'Hara (Vivien Leigh) through the Civil War and its aftermath, as she pines for aristocrat Ashley Wilkes (Leslie Howard) while being pursued by blockade runner Rhett Butler (Clark Gable). 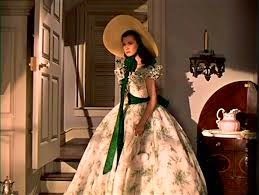 The Performances: GWTW is one of the best remembered of the Old Hollywood films, with much of the credit going to Margaret Mitchell's timeless story and producer David O. Selznick's high-quality production values. It's easy to overlook the performances in GWTW, which are exceptional throughout the film. 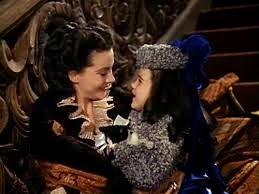 Big-budget historical epics could lead to wooden performances (see Cecil B. DeMille's filmography), but in GWTW even the minor characters are real, three-dimensional people. We're going to take an in-depth look at the supporting players throughout November and December. Below we will look at the four leading performances. Vivien Leigh as Scarlett O'Hara: Leigh was a little known English actress when she was chosen to play Scarlett. Many other actresses were considered for the part, and through the years there has been considerable speculation on how they would have interpreted the role. It would be interesting to see what someone like Bette Davis could have done with Scarlett, but really Leigh was perfect for the part. She certainly doesn't fit Mitchell's physical description of Scarlett -- the first line of the novel states that "Scarlett O'Hara was not beautiful" --but she captures the full-range of Scarlett's character from teenage flirt to hard-headed businesswoman. Rhett Butler's famous entrance scene at the Twelve Oaks barbecue. 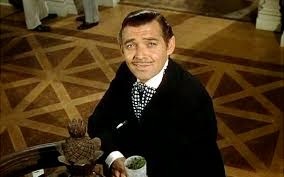 Clark Gable as Rhett Butler: While many actresses were considered for Scarlett, there was only one choice to play Rhett Butler. Gable was famously reluctant to take on the part, but, at least for my money, he gives the best performance in the film. Gable brought his considerable charisma to the role: Rhett's sardonic wisecracks are a welcome relief from the more melodramatic elements of the story. Gable also took great risks in portraying Rhett's sensitive side. 1939 audiences must have been shocked to see the reigning King of Hollywood cry on camera, but it works beautifully, and Gable earned a much deserved Oscar nomination for the role. Ashley Wilkes (Leslie Howard) contemplating the war talk at the Twelve Oaks barbecue. Leslie Howard as Ashley Wilkes: British actor Leslie Howard was a popular leading man for most of the 1930s, but he was reluctant to take the part of Southern aristocrat Ashley Wilkes. He justifiably complained that Ashley was a weak-willed character who has very little to do in the story. However, once he was cast, Howard did a fine job. He portrays Ashley as a gentle dreamer who cannot cope with the harsh realities of life brought about by the war and reconstruction. 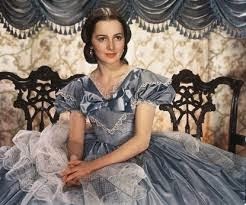 Olivia de Havilland in a publicity still for Gone With the Wind. Olivia de Havilland as Melanie Hamilton: De Havilland's role as Melanie Hamilton catapulted her into the ranks of the leading actresses of the 1940s. 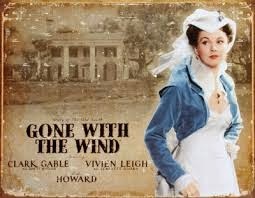 Before GWTW, she was a contract player at Warner Brothers best known for co-starring with Errol Flynn. She earned a much-deserved Oscar nomination for her portrayal of Melanie as a quiet, gentle woman with inner reserves of steely courage. She went on to receive four nominations for best actress throughout the 1940s. She won twice: in 1946 for To Each His Own and in 1949 for The Heiress. Best Line: There are so many lines from this film that have become iconic, so I'll choose my personal favorite among Rhett's many one-liners. "Never, at any crisis of your life, have I known you to have a handkerchief." Rhett talking to a sobbing Scarlett during their final confrontation. Scarlett (Vivien Leigh) greets Bonnie (Cammie King) and her kitten. The Show-stopper: Again, there are many scenes to choose from. My personal favorite is Scarlett's walk up the grand staircase at Twelve Oaks where she meet all three of her future husbands. Overlooked Element: Sidney Howard did win a posthumous Oscar for his script, but it is hard to overstate its importance to the final success of the film (Howard was the only person to receive official credit for the script, but many people worked on it, including Selznick himself). He skillfully edited Mitchell's mammoth novel into a workable script that keeps the story moving briskly forward throughout the 238-minute running time. 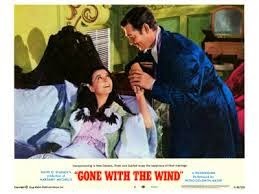 Why it's essential: GWTW has many flaws, but even after 75 years it is still the quintessential Hollywood film. Next week we'll look at Goodbye, Mr. Chips.